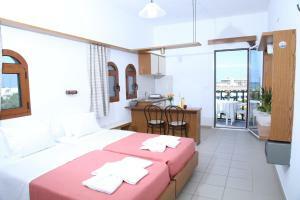 Lock in a great price for Kiriakos Studios – rated 8.8 by recent guests! 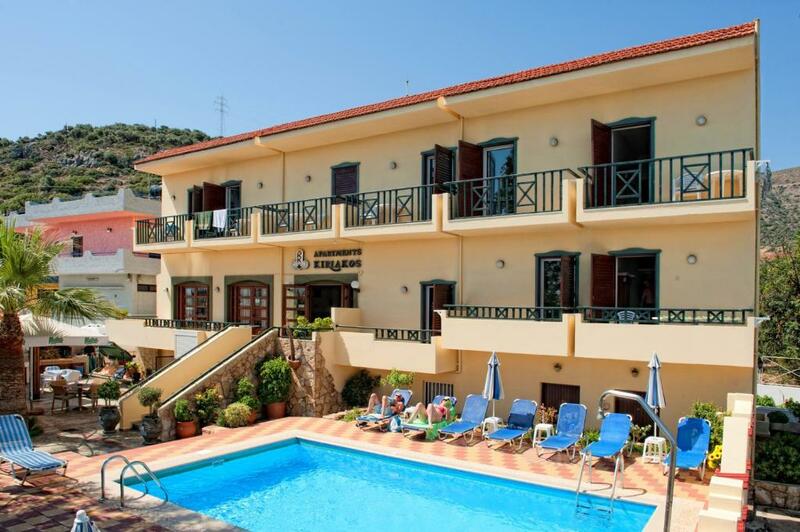 Located on the outskirts of Stalis, Kyriakos Family Apartments offers studios with a well-equipped kitchenette and private balcony. 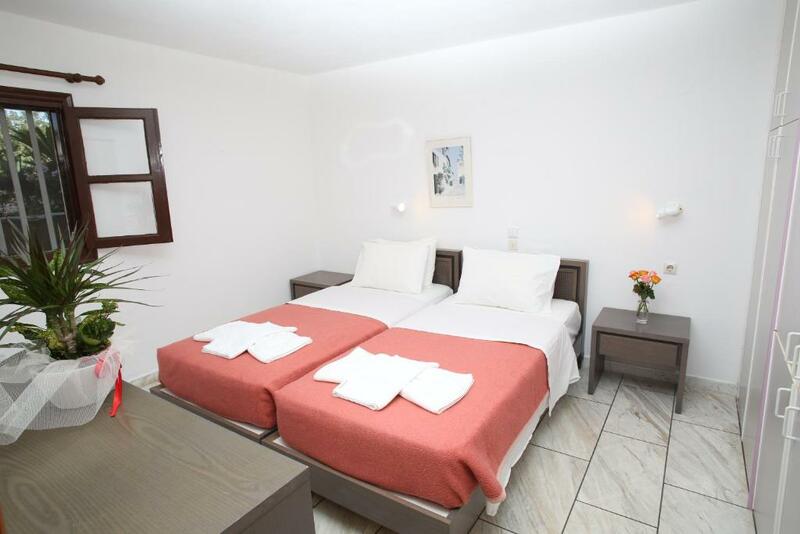 It includes a swimming pool and a poolside bar, and provides free Wi-Fi in its common areas. 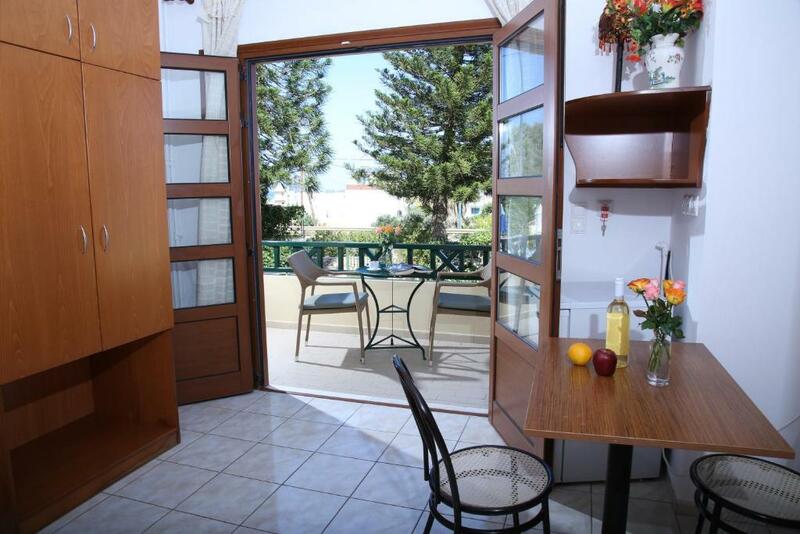 Enjoying pool or garden views, all Kyriakos studios come with a living area with sofa and a private bathroom. Air conditioning and safety boxes are also available upon surcharge. BBQ evenings are organized every Sunday by the pool including traditional Greek specialties. Continental breakfast is served in the morning, while light meals, drinks and cocktails can be enjoyed at the pool bar. The sandy beach of Stalis is 650 feet away. 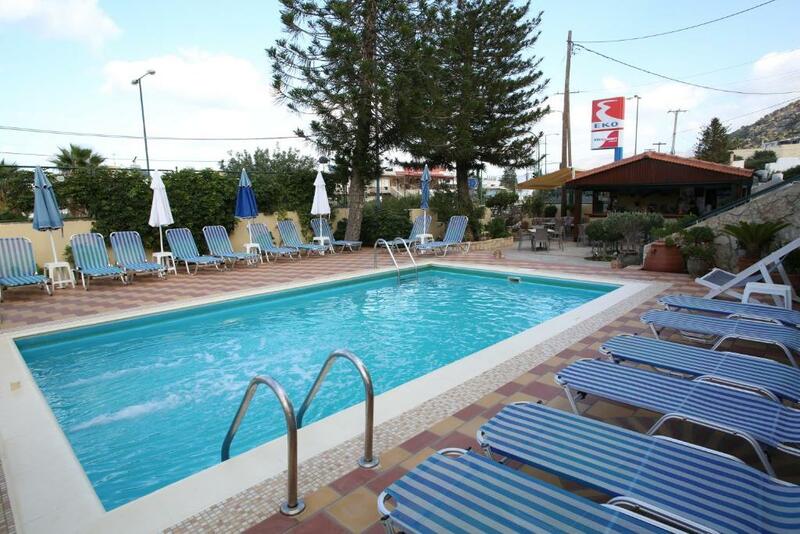 The lively town of Malia is within 1.6 mi and Hersonissos is at 3.7 mi, both offering many nightlife options. This is our guests' favorite part of Stalís, according to independent reviews. This property is also rated for the best value in Stalís! Guests are getting more for their money when compared to other properties in this city. 뀐 Located in the top-rated area in Stalís, this property has an excellent location score of 9.4! 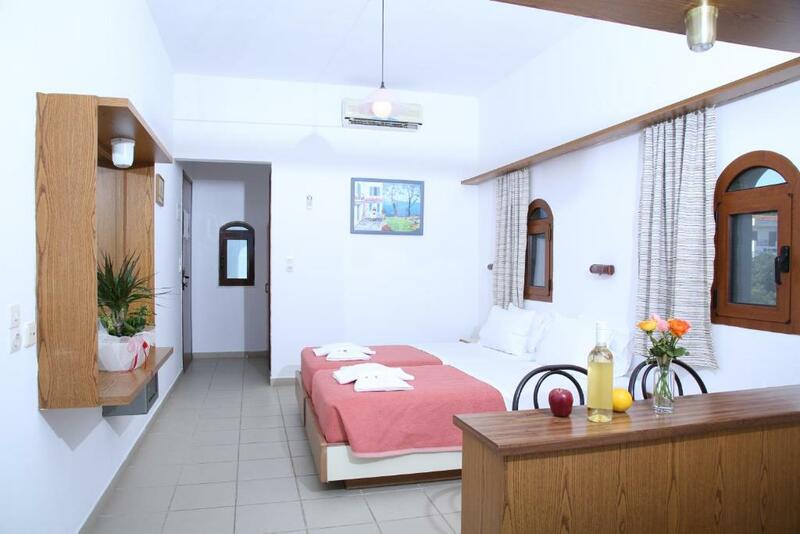 When would you like to stay at Kiriakos Studios? Enjoying pool or garden views from its private balcony, this studio includes a well-equipped kitchenette and a living area with sofa. Air conditioning and safety box are available upon surcharge. House Rules Kiriakos Studios takes special requests – add in the next step! Kiriakos Studios accepts these cards and reserves the right to temporarily hold an amount prior to arrival. Family very friendly and made you feel welcome. Nothing was too much. 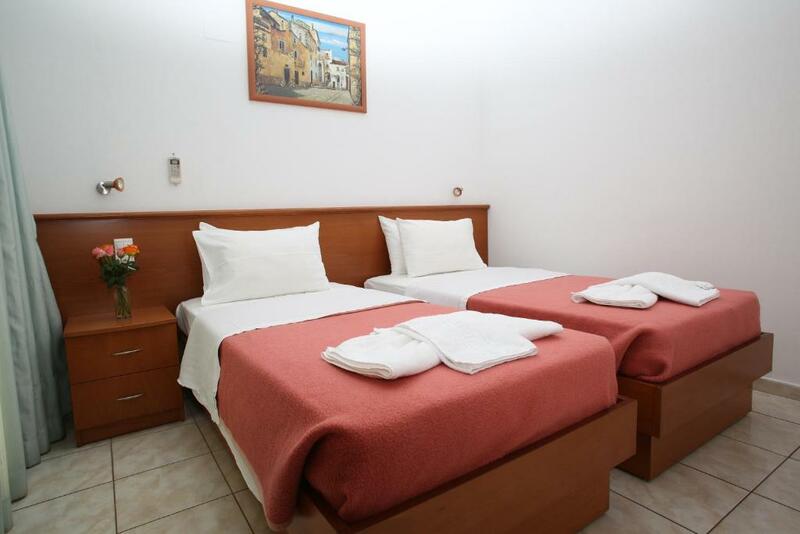 Very Clean, towels, sheets changed regularly and bins, apartment cleaned almost daily with exception of Sunday. Food and drinks all good. Pool small but clean and not too busy being a small complex. Great value for money. Excellent location. Would highly recommend and will be returning next year.